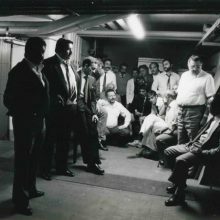 The occupation of the Tübingen University Archives on 1 September 1981 was another campaign by the civil rights movement that caused quite a stir. 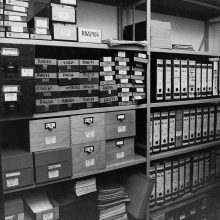 Stored in those archives were documentary materials from the Nazi era’s ‘Racial Hygiene Research Centre’, which included family trees, measurement card files, and tens of thousands of photographs. It was on the basis of these documents that the genocide was planned. Even after 1945 the material itself was still being used for scientific publications by Sophie Ehrhardt, a former employee of the Research Centre and later professor at the University of Tübingen. 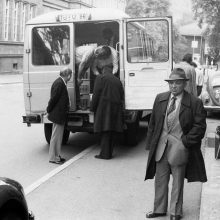 Sinti activists, including survivors of the genocide, compelled the university to hand over the material and transfer it to the Federal Archives in Koblenz.